APK file. 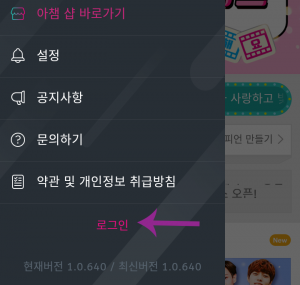 To install the Idol Champ app, please follow these instructions on how to install APK files. If upon opening the app, you see this pop-up, simply click the option marked in the photo below. 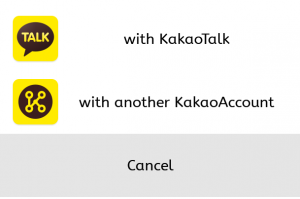 Creating an MBC account is not required as you can log in with Facebook, Google +, or KakaoTalk. 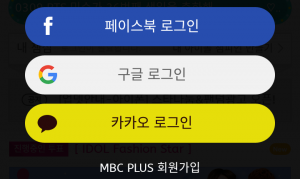 Depending on which account you choose to log in with, simply click “Agree” if this is your first time doing it. 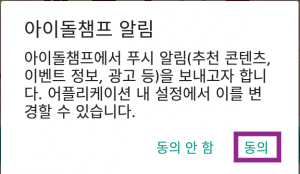 NOTE: If you previously had a version of the Idol Champ app installed and you get this pop-up, it means you will have to update it. DO NOT choose to update via the App Store and you won’t be able to since it’s only available in Korea. You must go through the process of re-downloading the APK file once more.